Last week the internet got its hands on some leaked images that were quickly believed to be from Red Dead Redemption 2. In actuality, the images turned out to be from a new western themed MMO called Wild West Online. Now—thanks to the hype—the developers were able to secure enough funding to go straight into a full release. Wild West Online developers 612 Games announced in a press release that because of the internet excitement last week, which resulted in thousands of emails to the devs and clicks to their website, Wild West Online has secured additional funding from the game's original investors. Thanks to the fundraising, Wild West Online can completely forgo a Kickstarter campaign and Steam Early Access release to focus on the game's full launch later this year. Wild West Online will even include with the game's crowdfunding stretch goals available at launch. The stretch goals include female character options, social activities (card games and other side quests), and localizations—although the developers don't reveal which countries they will localize for. "The community's response to Wild West Online is something we never imagined and thanks to it we're able to fully develop a robust Western experience for PC," said Stephan Bugaj, 612 Games' Chief Creative Officer, in a statement. This is quite a turn of events from last week when internet commenters on various forums and social media sites like Reddit, NeoGAF, and Twitter expressed a mix of confusion, surprise, and some disappointment when the leaked screens for a cowboy game turned out to have been for a western game that wasn't Red Dead Redemption 2. However, the stir generated by Wild West Online's surprise announcement attracted plenty of western fans who were excited by the prospect of, not one, but two wild west games coming out this year. 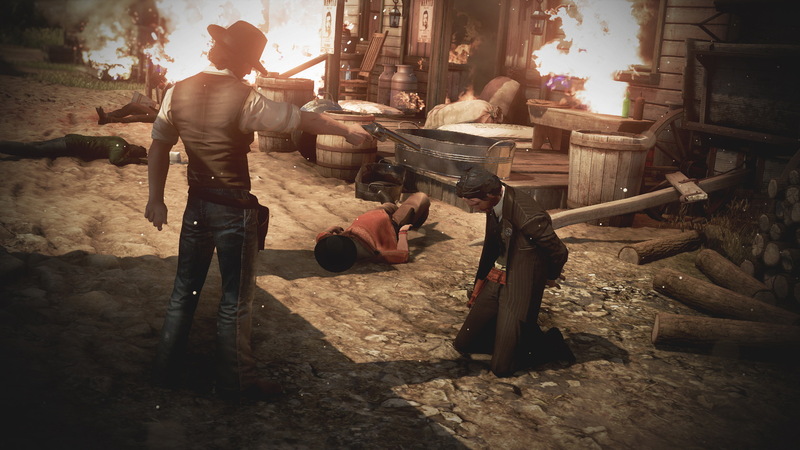 Wild West Online is described as an open-world, action online multiplayer game. Players will be able explore the game's western setting and make moral decisions that will determine whether or not the player will play as a lawman, outlaw, or pioneer in the old frontier. Other features in the game include PvP combat, PvE missions, treasure hunts, and more. Wild West Online is set to release later this year.